Home » Paripatra » PRIMARY SCHOOL FIRST SEMESTER STD. 3 TO 8 NI PARIXA NA MULYANKAN BABAT NIYAMAK NO LATEST PARIPATRA DATE:-22/10/2018. PRIMARY SCHOOL FIRST SEMESTER STD. 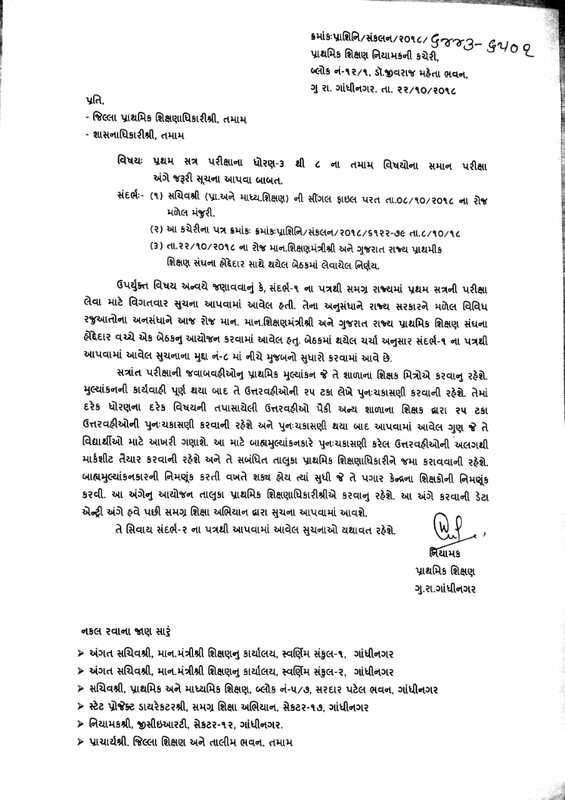 3 TO 8 NI PARIXA NA MULYANKAN BABAT NIYAMAK NO LATEST PARIPATRA DATE:-22/10/2018.